One of the nicest parts about living in the United States is that it has such a varied ecosystem. There are the rainforests of the Pacific Northwest, the deserts of the Southwest, and the plains of the Midwest. Do you have a preference for warm beaches or cold beaches? California and Maine can accommodate. The last two states we added to the union — Alaska and Hawaii — gave us some of our most obvious extremes. All that to say: if someone thinks that commercial landscaping and lawn care is the same in Portland as it is in Arizona, that’s a surefire way that they’ve never been to at least one of those places! Lawn care can be a challenge here in Dallas/Fort Worth. Let’s take a look at what a professional needs to know. There’s no doubt that water-loving grasses like Kentucky bluegrass and tall fescue can look lush and feel good underfoot. But these grasses simply need too much water to thrive, so unless you’re living in the wettest cities in the nation, it’s a good idea to consider something that isn’t going to use so much water. The most common types of grass used in northern Texas are St. Augustine, Zoysia, Buffalograss, and Bermudagrass. If we’re installing your lawn, whether as rolls or as seeds, we will talk to you first about the type of grass you’re looking for. Do you expect your customers to be walking on it much, or is it just there for show? Do you expect to add trees in the future, which would require grasses that can tolerate shade? We can help you decide which one will work best for your space. Of course, fertilizer will play a big part of your grass’ life once it’s established. Some grasses need the soil to less acidic, while others require more phosphorus. 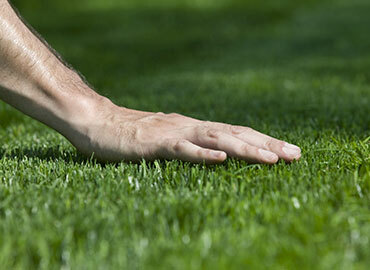 We’ll fertilize properly (amount, time of year, frequency) based on the type of grass you have at your business. Finally, it’s not just the growing of the grass that a commercial landscaping company has to worry about. It’s important for us to know what kind of grass we’re dealing with because different grasses require different methods of cutting. Zoysia grass, one of the most drought-resistant out there, doesn’t require cutting nearly as often and can actually crowd out weeds due to its thick turf. Knowing grass means knowing how to care for it, and our commercial lawn care company can accommodate the grass you have. As big as Texas is, you won’t be surprised to find out that there’s a great variety of soils throughout the state. By some estimates, there are about 1,200 different soil types in Texas, though those can be broken down into three very basic types: sandy, loamy, and clay. Dallas soil tends to have a lot of clay in it, and both gardeners and landscapers can have problems working with it. Clay can become incredibly dense, preventing grass and plant roots from going very deep. The less deep the roots go, the more water you have to use. Clay soil also means that less air can reach the roots, which can lead to sorry looking grass. What can be done? Sometimes it helps to aerate the soil with a motorized soil aerator, which brings dirt plugs to the surface and allows the lawn to expand. This also gets air to the roots and is a great way to get fertilizers deep into the soil. Another solution is to apply top dressing, which is essentially putting new dirt on top of the old. This has to be done carefully as to avoid burying the pre-existing grass, but it is a great way to get a less-compacted soil and introduce minerals and other nutrients back into a lawn. It rains an average of 81 days a year in the DFW area, which means the average of 37 inches of rainfall a year is pretty good. We certainly get more rain than most people would think, since a great deal of the country thinks of Texas a desert. But that water doesn’t mean there isn’t a need for an efficient irrigation system. While we might get a pretty good amount of water from the sky over the long-haul, there are weeks that go by when we get absolutely no rain. When that happens, grass can die and turn brown, scaring away potential customers. On the other hand, brown grass doesn’t always mean that it’s dead; it might just be dormant. While it can be lured back to green this season, it’s going to take extra work (and money) to make it happen. 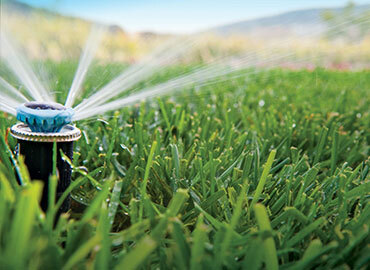 Instead of risking the look of your grass, let our commercial lawn care company install a smart irrigation system. Not only will it keep your grass looking great even during the driest months, but it will save you money on water every time it’s activated. 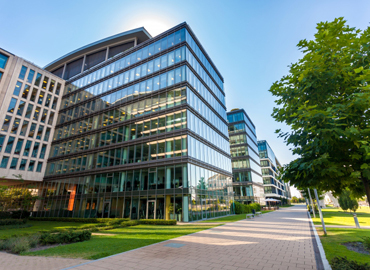 Click here to learn more about the irrigation systems our commercial landscaping company offers. Having a great-looking lawn is an excellent way to draw in customers, and the professionals at Landscape Solutions have the skills, tools, and knowledge that is specific to the Dallas/Fort Worth and Plano area. We’d love to talk with you about how we can make your lawn better and ensure that it’s ready to handle the challenges that come with northern Texas. 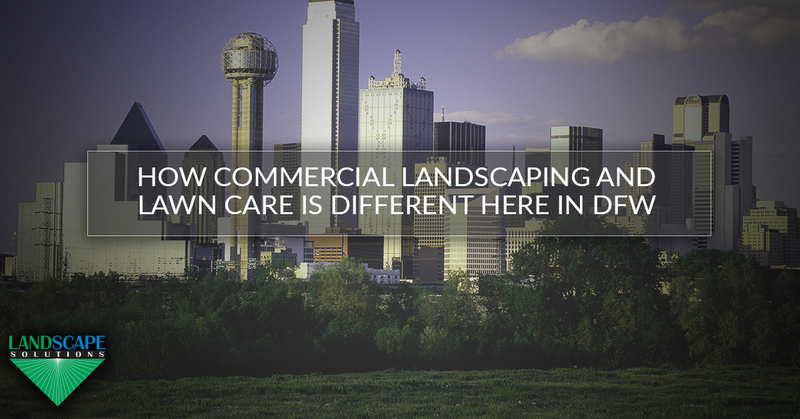 Contact us today for a free quote regarding your commercial landscaping and lawn care needs!